Wildflowers and insects are inseparable. Pink rhododendron bloom in the forests of Mount Hood in Oregon. Pink monkeyflower and yellow aster bloom in a meadow fed by a spring in the Cascade Mountains of Oregon. 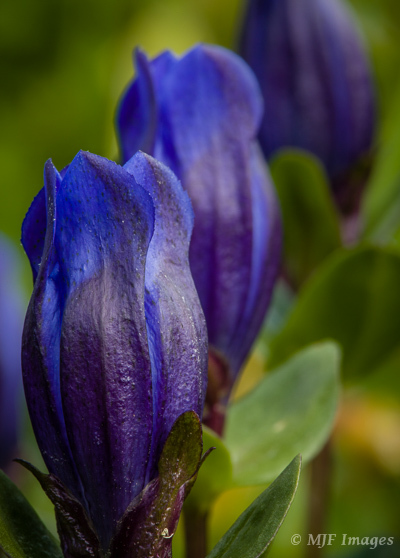 One of my favorite flowers of the subalpine zone in the Cascades is blue gentian, here at Mount Rainier, Washington. My favorite flower of the dry steppe region of the Pacific Northwest is the always solo and always beautiful mariposa lily. Let’s not forget tropical flowers. This one I found attended by red ants in a Thailand forest. Wonderful lupine and balsamroot decorate this hillside in the eastern Columbia Gorge of Oregon. Note the moon peaking through. Speaking of the eastern Gorge, this is its most famous flower, the arrowleaf balsamroot. Not all flowers are colorful. This one is the pasqueflower, which immediately goes to a “wild hair” seed head after blooming. 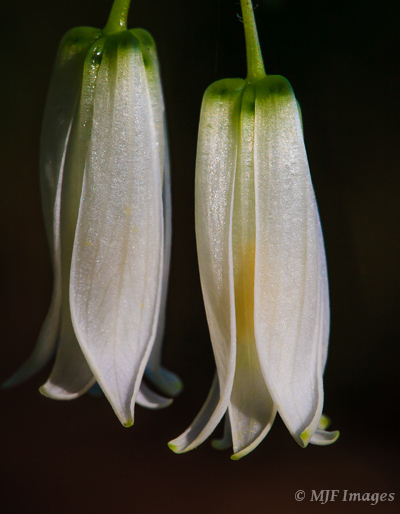 The deep forest of the Pacific Northwest hides wonders like these fairy bells, lit by a shaft of sunlight. The glorious indian paintbrush is a common wildflower of mountains in the American West. Flowers bloom in profusion in the aptly named Paradise meadows of Mount Rainier. A summer flower around these parts that is particularly eye-catching, the tiger lily. A welcome import to Oregon, the California poppy, likes roadsides. I hope you like these wildflower images. Please click on an image to go to the main gallery part of my website, where some of the full-size versions are available for purchase. If you can’t find one, or have any questions or special requests, please contact me. They are protected by copyright and not available for free download, sorry. Thanks for your interest, and happy Wildflower Wednesday! Dawn breaks on Rowena Crest in Oregon’s Columbia River Gorge. Rowena is one of my favorite places to hike and photograph in springtime, not only in Oregon but anywhere. Around Easter the showy yellow blooms of the arrowleaf balsamroot appear, and they are soon joined by lupine, paintbrush and other more subtle flowers. It’s a show that shouldn’t be missed if you happen to be in the Pacific Northwest in spring. It is very popular with photographers and hikers both. Early morning dew coats arrowleaf balsamroot at Rowena Crest in the Columbia River Gorge. To get there, take Interstate 84 east of Portland all the way out past Hood River to the town of Mosier. Get off the freeway and turn east on the Dalles-Mosier highway. This is an extremely scenic two-lane that winds up through the hills toward Rowena Plateau (also known as Rowena Crest). When the road tops out and the trees thin out, look for a turnoff and parking to the right. What a view! Note also that there are wide spots to pull off along the road before you get to the official viewpoint. But please don’t drive off the gravel; this is fairly delicate terrain. After your visit, you can keep going on this road as it winds spectacularly back down to the Columbia River, where you’ll be able to access the freeway again for the return. I’ve seen car companies shooting commercials here. It will take about an hour and a half to drive here from Portland. Mount Adams is visible on the hike up to Tom McCall Point at Rowena Plateau in Oregon. Trails head in both directions from the viewpoint at the crest, and you can’t go wrong with either one. If you take the trail that heads north toward the river, you’ll pass fields of wildflowers and a small lake. It’s less than a mile to the cliff-edge, where you can look straight down on the freeway and the river. Use caution! If you go the other direction, toward the south, wildlfowers will again greet you as you climb toward McCall Point. Making the short <2-mile climb to this point will reward you with views of both Mounts Hood and Adams. Please stay on the trail, and avoid stepping on the plants. Some are quite rare, even endangered. Doe and yearling mule deer are curious to see who is visiting at Rowena Plateau near the Columbia River, Oregon. This whole area is a preserve named for Tom McCall, a former governor of Oregon known for his environmental stewardship. He was also famous for his unofficial motto “Oregon, enjoy your visit but please don’t stay!” He did not want his beloved state to become California, and a sign was even posted with this motto on the main highway near Oregon’s border with our southern neighbor. The area is preserved because of its unique botanical treasures. The showy sunflower-like balsamroot and lupine are very common of course, but there are smaller, less noticeable plants here that are rare and make botanists go giddy with pleasure. It’s a gorgeous place, especially at sunrise. I camp here in my van so as to be here at daybreak. It’s one of the few places I go that I share with a good number of other photographers. It’s just too good to miss. Mount Hood stands beyond the spring blooms on Tom McCall Point in Oregon. If you come here note that it can often be very windy (see image at bottom). When the sun shines and temperatures rise (which often happens on this drier side of the Cascades), watch for snakes. Rattlesnakes, which are potentially dangerous, are not as common as gopher snakes but the two can be hard to distinguish. This is not least because the non-venomous gopher snake has some tricks up its sleeve that it uses to mimick the venomous rattler. The triangular-shaped head of the rattler, along with its well-known method of warning hikers, should be enough to tell the difference. Various birds (including raptors), lizards, wild turkeys and deer also frequent the area. Rowena would definitely be high on my list if I was visiting the Hood River/Columbia Gorge area. I hope you enjoy the images. Please be aware that they are copyrighted and not available for free download, sorry. Click on any of the pictures to go to the main part of my website, where there are purchase options for high-resolution images. Please contact me if you have any questions. Thanks a lot. 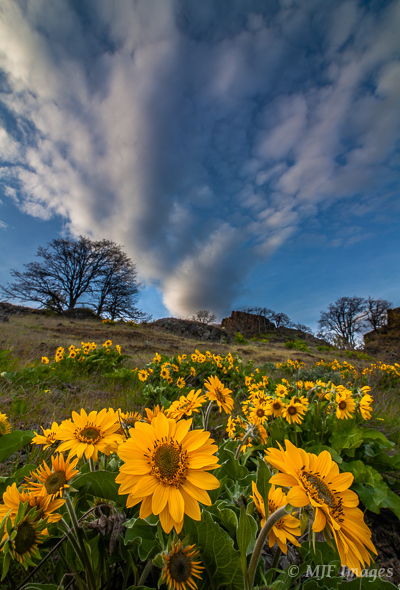 A very stiff wind blows the balsamroot and lupine at sunrise on Rowena Plateau in Oregon’s Columbia River Gorge.